The EU COST Action CM1401 “Our Astrochemical History” will hold its inaugural meeting in Prague from May 26th – 29th 2015. The conference is open to the whole community of physical chemistry and astrochemistry. 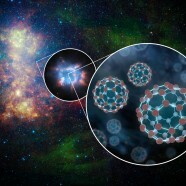 Aiming to bring together theoretical and experimental chemists to address key issues in atomic and molecular chemistry of interest in solving issues in astronomy, the network action will facilitate collaborative working between scientists from the 27 action member states, as well as affiliated countries. The maximum number of attendees is set to 100 people. We encourage you to participate – deadlines for registration are April 17th, and abstracts April 24th.